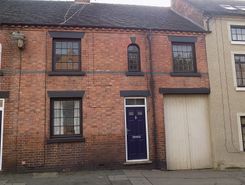 DESCRIPTIONA modern town centre cottage offering compact and easy to manage and economic to run two bedroomed accommodation convenient for Ashbourne?s facilities and amenities. 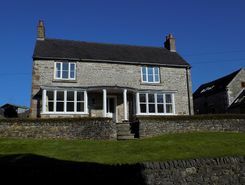 The property should be viewed without delay by all interested parties as it is considered ideal for occupation by t.
DESCRIPTIONOccupying a prominent and elevated position this double fronted stone built former farmhouse provides superbly appointed and presented extremely spacious four bedroom accommodation ideal for family occupation. Offered with the benefit of additional outside storage facility and a la. DESCRIPTIONa most delightful self-contained, one bedroomed apartment in an extremely convenient town centre location. The gas centrally heated accommodation is ideal for the professional single person and retains much of this historic Listed building?s original charm and character. Early vi. 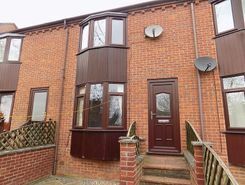 DESCRIPTIONSpacious and characterful town house property offering very good sized gas centrally heated three bedroom accommodation in a most convenient location. Considered ideal for family occupation being well placed for ready access to the shops and other facilities of Ashbourne town cen. DESCRIPTIONA most conveniently located, modern townhouse property offering good sized and most pleasantly appointed, two-bedroomed accommodation well placed for ready access for Ashbourne?s town centre facilities and amenities. The gas centrally heated and double glazed property is ideally s.
Occupying A popular yet convenient cul de sac location this most pleasantly appointed and presented, detached family property offers spacious, gas centrally heated and sealed unit double glazed, three-bedroomed accommodation together with good sized gardens and most useful garage. Ideal for . A most useful and spacious ground floor commercial premises Hulland Ward, Nr Ashbourne, Derbyshire, DE6 3EA? 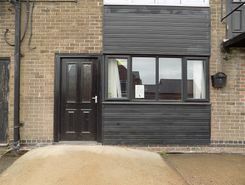 Spacious and useful ground floor commercial premises? Affordable accommodation in a prominent location? Over 700sq.ft of ground floor area? Additional rear kitchen and sta. 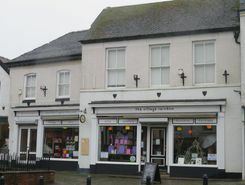 A centrally located, two-storey shop premises situated in a busy pedestrian cobbled walkway just off the Market Place area of the popular Georgian market town of Ashbourne.The shop, which in recent years has undergone a comprehensive internal refurbishment now offers a bright and attractiv. 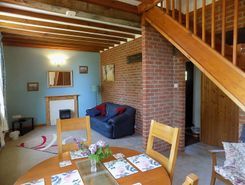 DESCRIPTIONA high quality and characterful, traditional, mellow brick and tile barn conversion offering well appointed, three bedroomed accommodation. Ideal for the professional couple seeking a rural environment the property should be viewed without delay.ACCOMMODATIONEntrance Hall 7? x .
GENERALOccupying a prime position in Ashbourne?s premier trading location close to the junction of St John Street and Market Place this fantastic retail opportunity provides gross internal ground floor sales area approaching 1,800 sq ft plus additional storage and staff facilities together. 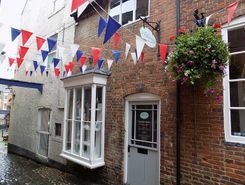 TheHouseShop have been helping people to save money when buying, selling, renting and letting property in Ashbourne in Derbyshire thanks to their unique property marketplace and expert knowledge of the Ashbourne in Derbyshire property market. TheHouseShop is the only UK property portal that accepts listings from both homeowners and estate agents, so you will find properties listed for sale and to rent from high street estate agents, online estate agents, private sellers, private landlords and some of the UK's largest house-builders. Whether you're a seller, a landlord, or an estate agent, you can use TheHouseShop property marketplace to advertise your properties to tens of thousands of buyers and tenants who visit the site each day looking for property in Ashbourne in Derbyshire and the surrounding areas. Our private users can boost exposure for their property adverts and generate more enquiries thanks to our effective marketing options. Thousands of private landlords in Ashbourne in Derbyshire have already used TheHouseShop.com to find excellent tenants for free. 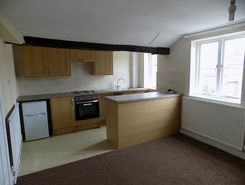 TheHouseShop showcases a range of houses and homes to rent in Ashbourne in Derbyshire including, flats, apartments, maisonettes, and bungalows, giving tenants a unique selection of rental property from professional agents and individual homeowners. TheHouseShop showcases a variety of cheap rental homes in top locations across Ashbourne in Derbyshire and allows tenants to search for property by rent price, bedrooms, location and property type. 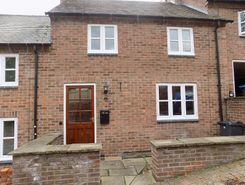 TheHouseShop has a selection of Ashbourne in Derbyshire properties available to rent direct from private landlords including DSS rental property, landlords accepting pets, studio apartments, 2 bed apartments, 3 and 4 bed houses and more. Tenants will find a unique selection of property on TheHouseShop.com as many of our private landlords will not advertise their properties on other major property websites. Home hunters who rent property direct from a landlord can save on administration fees and get ahead in the competitive Ashbourne in Derbyshire rental market. Tenants looking for cheap flat shares in Ashbourne in Derbyshire will find a selection of affordable rentals in TheHouseShop's Flat Share section. Flat Shares can be a cheaper alternative to renting an entire property and are a great option for tenants looking for cheap rentals in Ashbourne in Derbyshire's best areas. TheHouseShop offer a Guarantor Service to all renters which allows them to secure a UK based guarantor to help secure their ideal rental home in Ashbourne in Derbyshire. By using TheHouseShop's rental calculator tool, private landlords in Ashbourne in Derbyshire can ensure that they set the correct rent for their property. Landlords can access a range of essential landlord services on TheHouseShop marketplace including comprehensive tenant referencing checks, hassle-free rent collection, landlord insurance products and more. Landlords can safeguard their property with tenant reference checks on TheHouseShop.com which include tenant credit score, rental history, background checks and more. Home hunters using TheHouseShop can create a free property alert to stay up to date with the latest new rental properties in Ashbourne in Derbyshire matching their needs with instant email updates. 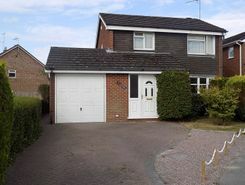 Property investors and private landlords can search thousands of cheap Buy To Let investment properties from house builders, estate agents and private sellers throughout Ashbourne in Derbyshire on TheHouseshop.com.